Lusaka archdiocese Archbishop Telesphore Mpundu who was among the youngest catholic bishops at the time of his appointment, has opted to retire from active clerical ministry as ArchBishop. The Vatican has accepted his request and has since replaced him with Bishop of Ndola Alick Banda. 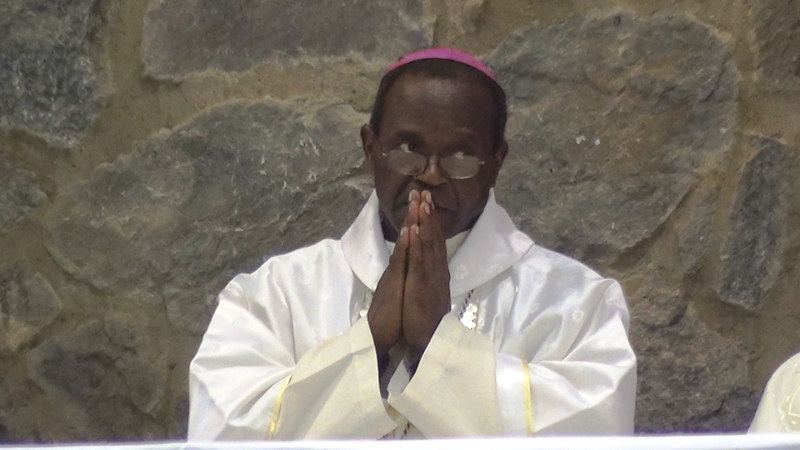 Archbishop Mpundu has retired from active ministry and his successor has been appointed. Usually, priests retire at 70 and Bishops at 75 but he requested to retire early so that he can have enough time to rest as he was made a Bishop at 40. 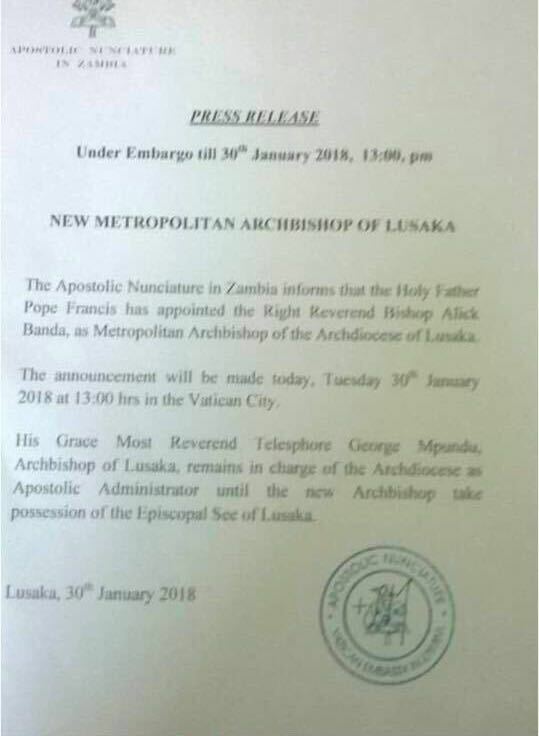 The Holy Father Francis accepted the renunciation of the pastoral government of the Archdiocese of Lusaka (Zambia), presented by S.E. Mons. Telesphore George Mpundu. The Pope has appointed Metropolitan Archbishop of the same seat of S.E. Mons. Alick Banda, so far Bishop of Ndola.